In 1999, 20 Santros (a car also known as the Atos) departed Hyundai's production facility in Chennai for Nepal. 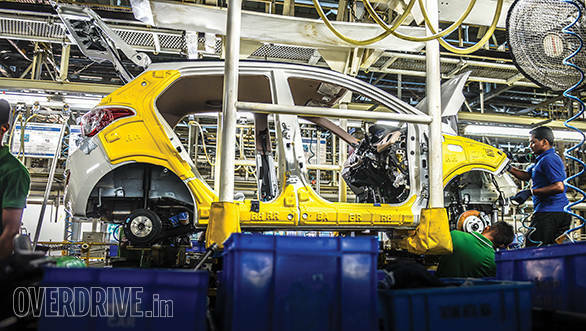 That was the first export shipment and ever since then, the Korean major has made a mark in India's automotive history by becoming the country's largest exporter. For the year 2014, exports from Hyundai India were recorded at over 1.92 lakh units. 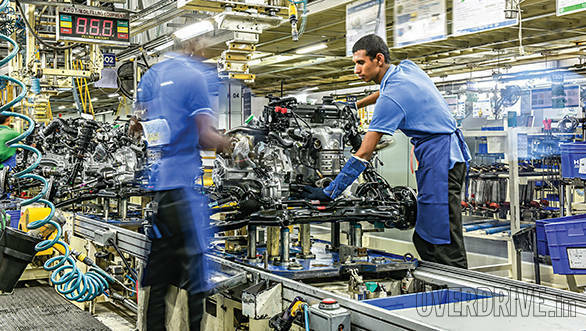 It may just be 30 per cent of the total units produced by Hyundai here but it clearly puts India on the global manufacturing map because there are several other factors aligned to this initiative. Factors like quality, reliability, quick turnaround assurance and an ability to deliver even the smallest of requirements as demanded by the world. This is Hyundai's export story, or in the larger scheme of things, their 'Make in India for the world' initiative. 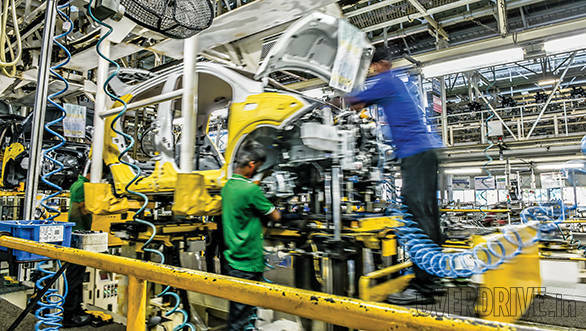 It's no secret that India is highly favoured as a global automotive manufacturing hub because of the quality of skilled labour available here. In addition, the natural harbours also provide access to efficient ports from where goods can go out or come in easily. 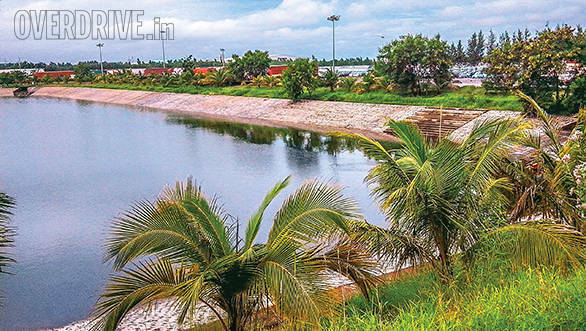 Chennai over the years has built a reputation for itself as the Detroit of the East, thanks to the proliferation of automobile manufacturing that takes place here. An efficient port, skilled manpower, healthy business associations with the local government and the ports provide Chennai with a strong manufacturing environment. These are just some of the several traits that Hyundai recognised much before they even set up shop in Chennai in 1996. 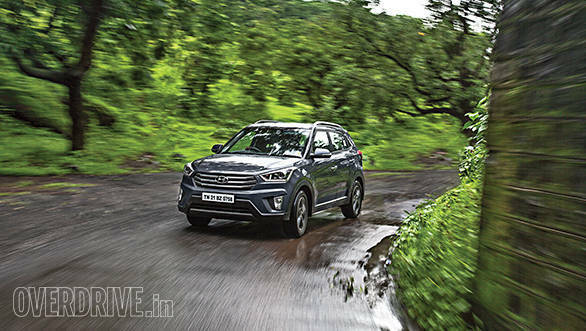 Despite India's not so strong 'balance of payments' position and scarce foreign exchange, Hyundai had the vision that the market would flourish in the near future. This would pave the way for strong domestic and international consumption so the plan to make India an export hub was in place right from the beginning. Today Hyundai India export almost everything they manufacture in India to over 119 countries. 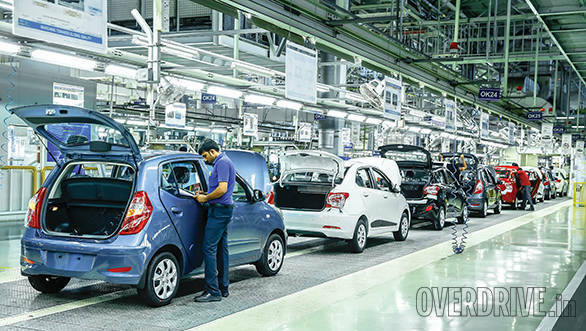 Over the last decade and a half, they have exported cars like the Atos (Santro), Eon, i10, i20, Getz, Grand i10, Grand i10 (four-door), Elite i20, Accent, Verna etc. Currently, Hyundai India export the Eon, i10, Grand i10, Grand i10 (four-door), Accent, Elite i20 and Verna to Africa, West Asia, Asia Pacific, Australia and Latin America. In the future, this list will also include the newly launched Creta and some of the other products in the pipeline. 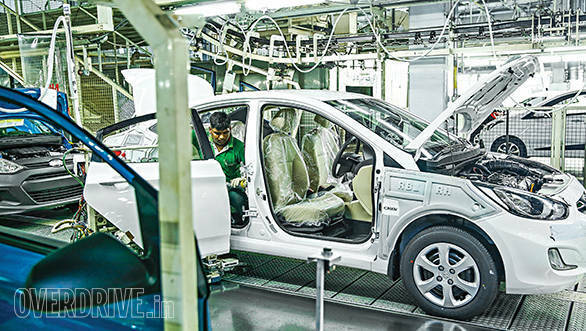 Manufacturing these cars isn't an easy process  Hyundai currently only manufacture export cars at their Chennai plant post receipt of payments from other markets. Only once the order is placed, the manufacturing process is given the green light. Parts are procured through global sourcing, payments are received, export documentation is managed, shipping lines are nominated and the vehicles ship once manufactured. Hyundai India also have a dedicated service team that takes care of all the after sales service requirements of these customers abroad. Production of export cars isn't an easy task either. 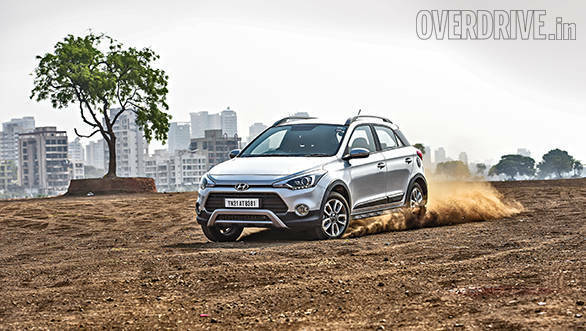 Numerous market requirements mean that sometimes Hyundai India could manufacture over a hundred variants of the same car. That is an enormous logistical challenge and yet with the right systems in place, all of these obstacles are surmounted easily. Engine options with varying power outputs and emission requirements, transmissions, tyres, interior equipment, left hand drive or right hand drive... the list simply goes on and on. Over the years, Hyundai India's exports have grown stronger and stronger. 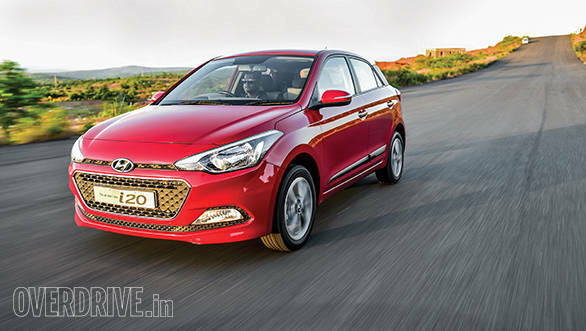 In 2010, Hyundai India exported their millionth car, which happened to be the i20. 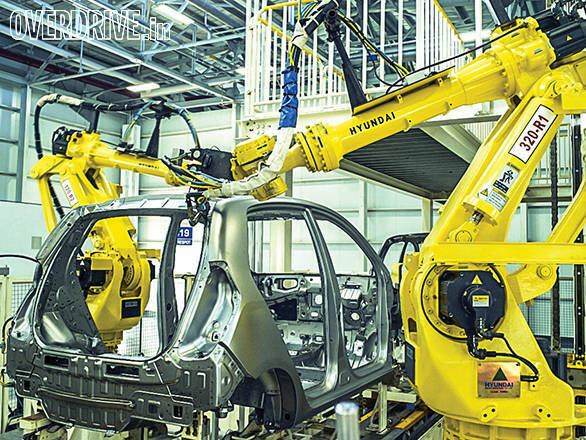 Despite the high number of cars manufactured at the Hyundai plant, stringent quality measures ensure the cars reach their respective markets in exactly the same condition they left the plant. Special inspections by international inspection agencies like SGS, Bureau Veritas, Cotecna etc ensure the highest quality standards are maintained stringently. In case of container exports, the cars are lashed to containers to avoid damage in the sea-bound journey. 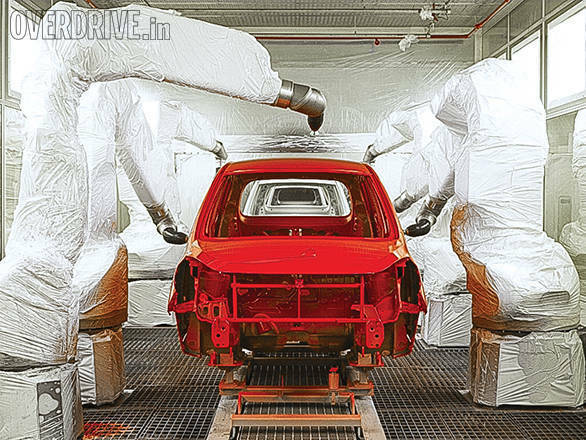 The export cars are waxed and covered with a protective cover of wax to prevent them from getting dirty during transit and despatched to port. A final quality inspection takes place at the port to ensure that no damage has taken place during the road transportation to the port. Special Ro-Ro Vessels are berthed at Chennai which are designed to carry cars only and are very different from normal liner ships. Such car carriers or Ro-Ro vessel will open their hatches and cars will be driven inside the ship, latched to the parking bay, and then shipped. 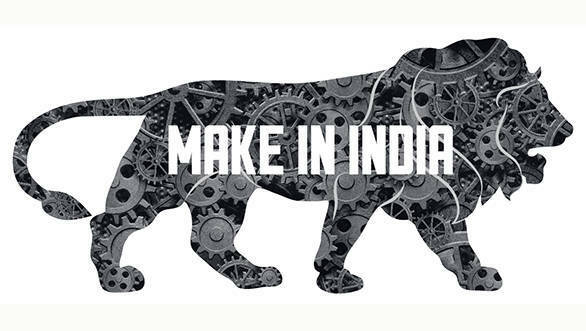 Exports carry several benefits for manufacturers and in the case of India, with the new Make In India initiative, these incentives can be quite attractive. The Indian Government offers various incentives to promote exports with schemes like EPCG, MEIS etc. This helps manufacturers build products that are competitive with other products in their segment. 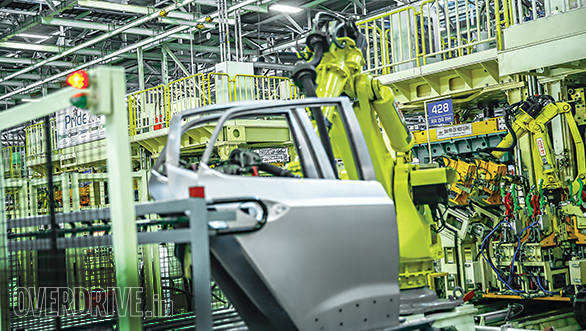 Hyundai's manufacturing practices and quality standards ensure that their products, no matter which market they are sold in, domestic or international, are highly appreciated. Yet the Government of India needs to further boost manufacturing in India. A revenue-oriented bureaucracy rather than an export or growth-oriented bureaucracy is the need of the hour. Administrative and procedural issues need to be improved and though they take precedence over business exigencies, smoother systems are the need of the hour. Improved trade arrangements with more nations, a more positive approach on the part of the authorities and several other factors will help manufacturers like Hyundai improve exports. The Prime Minister's Make in India programme has helped put things on the fast-track and this helps manufacturers like Hyundai with strong export arms to grow even stronger.